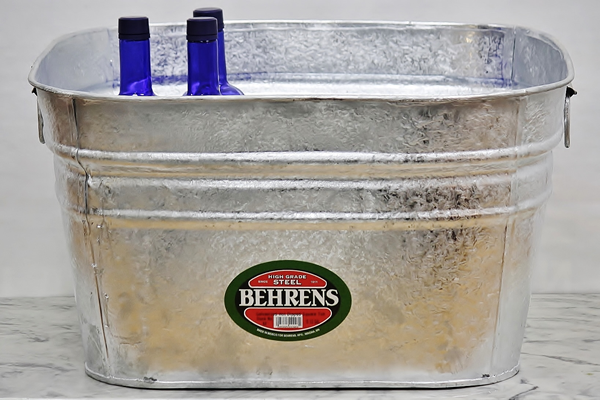 These hot-dipped square galvanized tubs feature a reinforced rim, body swedges, and an offset bottom to enhance durability. 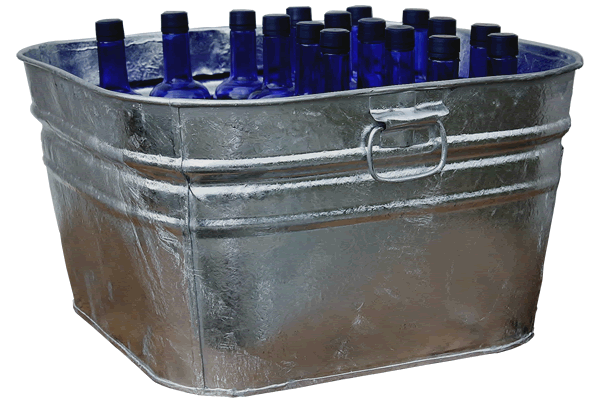 Their hot-dipped spangled metal finish makes them perfect for outdoor use, and they are guaranteed to be watertight, so they can be easily filled with ice to supply up to 48 standard drinks for your next outdoor cookout, wedding, or event. 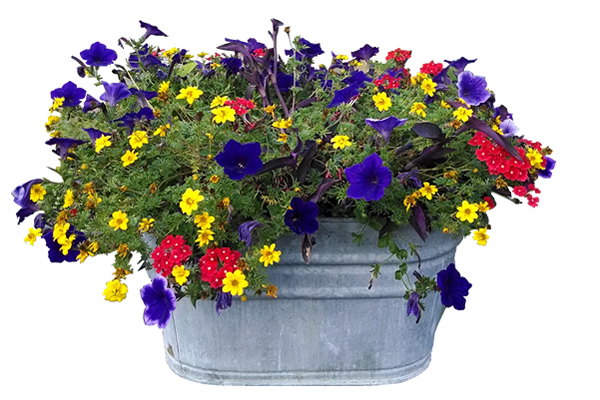 Square galvanized wash tubs can also be used to carry garden tools, weeds, and anything else to make working in the yard easier, and they can be left outside for years without rusting. Manufactured to last generations these square hot-dipped galvanized steel tubs easily last 70 years or more. Tub finish is rough. May have sharp edges. Read more: What makes galvanized steel rust? I have an antique 15 gallon, 21" x 21" galvanized tub on a stand and want a lid for it. This made a really nice garden planter for a cool centerpiece in the backyard.